Happy November (and Monday) everyone! I hope you all had a great weekend. The baseball season is officially over and it's super weird. We have such a long season that it feels like a year-round sport but then it ends and you're like, "Oh... what do I do now?" I thankfully was able to go to the Mets-Royals game last night to see the clinch but I was really pulling for the Mets. Always fun to see the home team win. But alas, the game went into extras and it got away from them. That's also why this post today is going up late! Got home so late and now I'm sleepy (she says half awake in bed). But I'm excited to share this look with you all today! 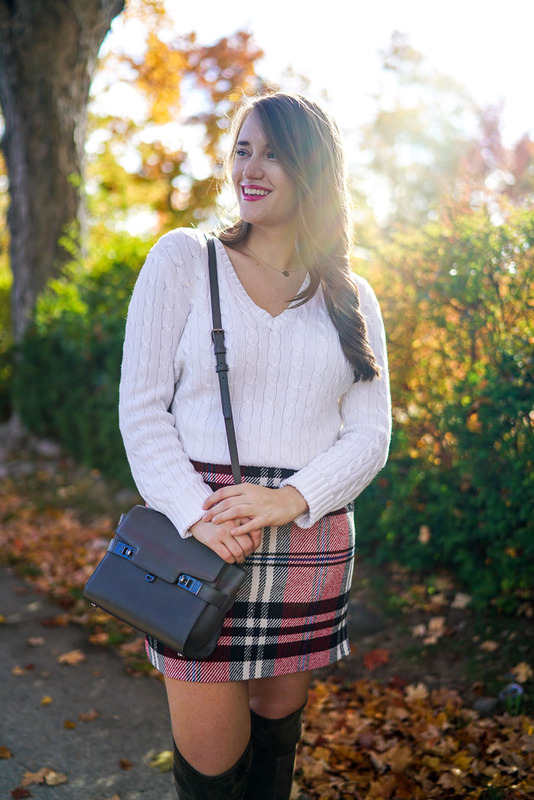 I really love this skirt and it's going to be such a fun piece for fall. It's thick and high wasted and about everything I need in a skirt. I know there were some questions about sizing and it's true to Topshop sizing (One size smaller - I'm wearing an 8) but there is no stretch -- none. If there was a size between 8 and 10, it probably would have been best but this fit me well enough! Also, my favorite Ralph Lauren sweaters are on sale so snag them while you can!! 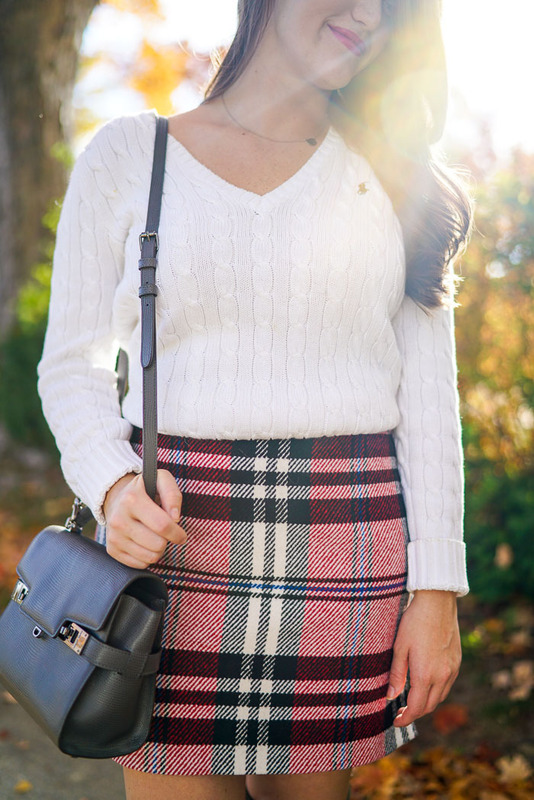 This skirt is such a fun way to add plaid to a look! :) the boots are great too! I love that skirt!! Those boots are so cute too! 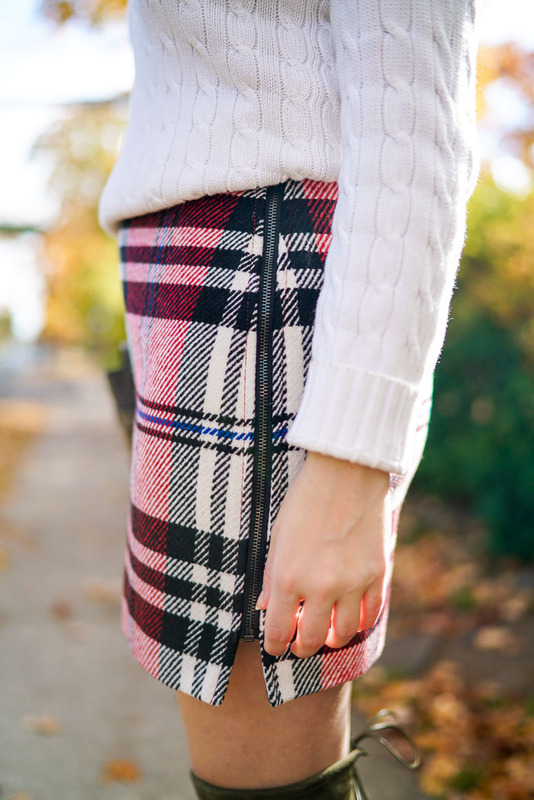 Love the boots + skirt combo, perfect for fall! Enjoy the off-season, I'm sure you're ready for a little break!